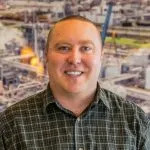 Portside, the digital magazine for the Port of Portland, mentioned Omega Morgan in a recent article featuring a complex moving project at their Terminal 6. We were honored to be brought on by the Port of Portland and Vestas North American to handle the shipping logistics of 50 wind turbine components. Our specialized transportation team’s expertise enabled us to devise a safe and effective strategy for the incoming towers destined for a windmill project in Eastern Oregon. In transporting heavy machinery, there tends to be a theme: no two projects are exactly the same. 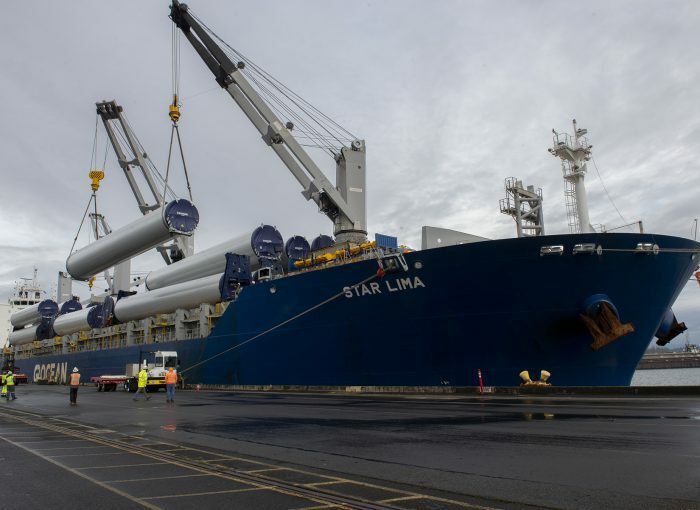 This was the first time that wind turbine components were handled at the Port of Portland’s Terminal 6 dock, a multi-use facility that processes cargo imports and exports. T-6’s ability to receive and store the wind turbines paves the way for future sustainable energy initiatives to funnel through the port, an exciting prospect for Oregon! The first of three shipments hit the port on January 17th from Korea. These wind turbine towers arrived as breakbulk cargo, meaning the equipment needed to be loaded on and off of ships individually. Dealing with this type of cargo can be complicated and labor-intensive. Our goal is to continue facilitating the transport of all 50 towers arriving in multiple shipments with efficiency while being mindful of worker safety. There is a lot more than just heavy cargo riding on this project. As Keith Leavitt, Chief Commercial Officer of Port of Portland, stated in the article, “We’re focused on moving more breakbulk through Terminal 6 as we continue to serve shippers at our multi-use terminal. The local partnerships needed to complete this work complement a project that will bring renewable energy to the state.” The entire team at Omega Morgan is proud to play a part in making this possible. It’s these types of challenges that make #doingtheimpossibledaily something worth accomplishing. Check out the Portside article here.